Spaniard Francisco Vásquez de Coronado traveled through the state in 1541, but French explorers claimed the area in the 1700s and it remained under French rule until 1803, when all the French territory west of the Mississippi River was purchased by the United States in the Louisiana Purchase. Many Native Americans of this region served in both the Union and Confederate military during the American Civil War. Slavery in Indian Territory was not abolished until 1866. Deliberations to make the territory into a state began near the end of the 19th century, when the Curtis Act continued the allotment of Indian tribal land. 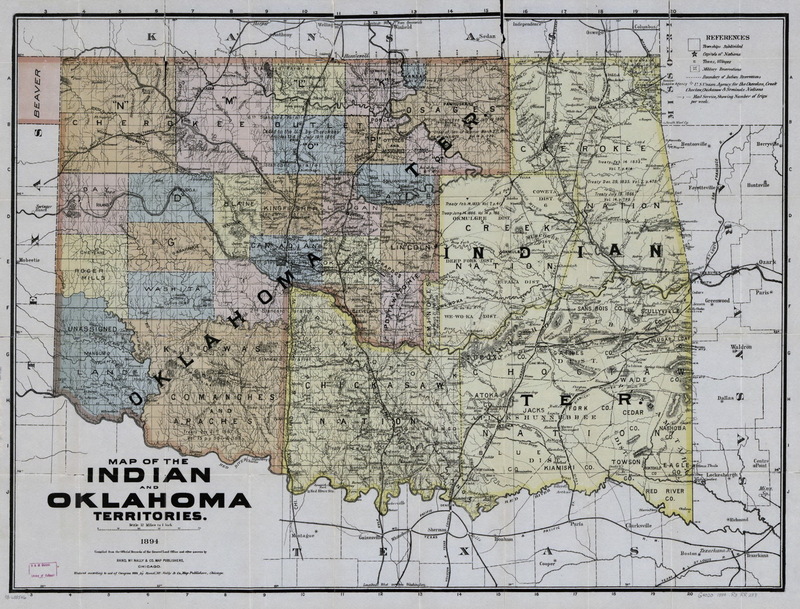 Attempts to create an all-Indian state named Oklahoma and a later attempt to create an all-Indian state named Sequoyah failed but the Sequoyah Statehood Convention of 1905 eventually laid the groundwork for the Oklahoma Statehood Convention, which took place two years later. On November 16, 1907, Oklahoma was established as the 46th state in the Union.